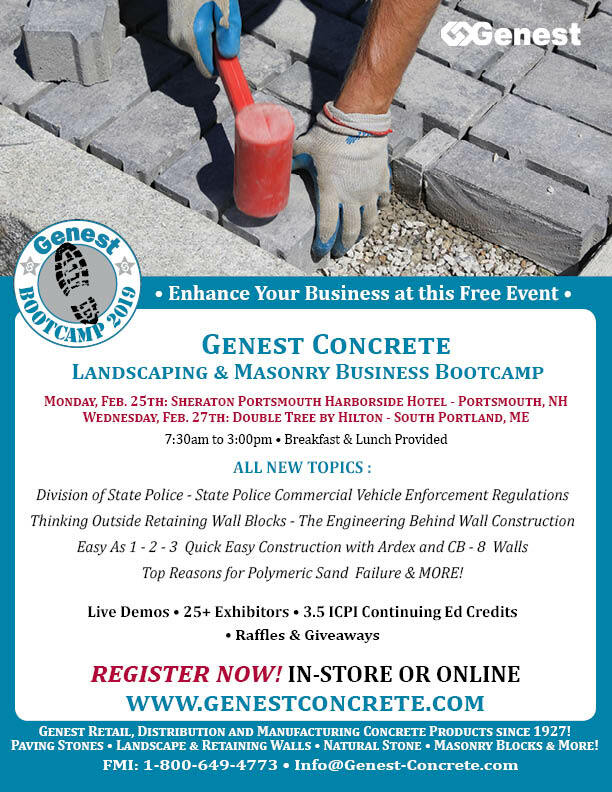 REGISTER FOR THE 2019 GENEST CONCRETE BOOTCAMP! This FREE event is designed to help your business grow! 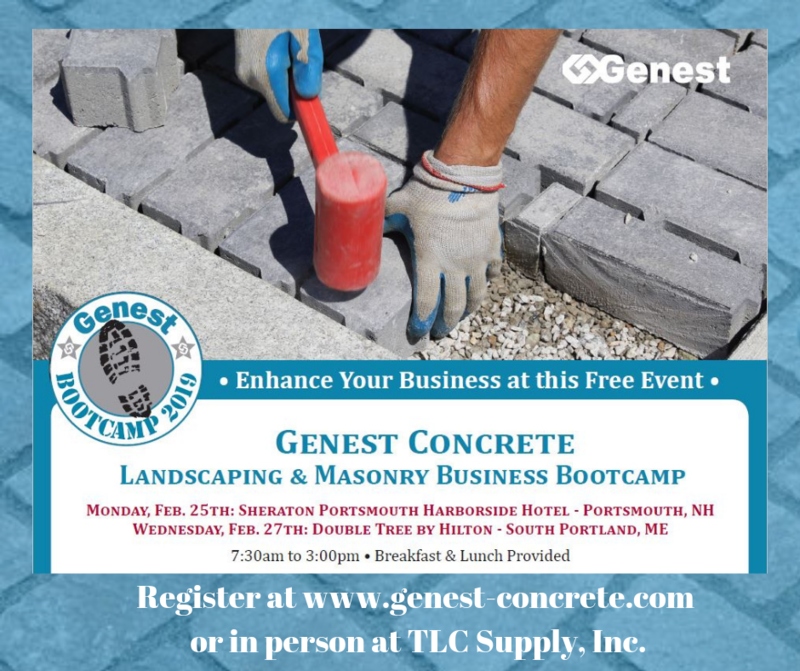 Get a first look at new paver products, gain valuable knowledge about installation methods, and learn about the best practices used in the hardscape and masonry industry. Network with colleagues, vendors, and suppliers. Earn 3.5 ICPI Continuing Education Credits! TLC Supply in Quincy, Massachusetts is your #1 Genest authorized dealer! We have an extensive Genest paver inventory and a large outdoor patio display featuring Genest’s premium paving stones and walls. Please visit our website to see even more hardscape and masonry products ranging from bluestone,granite,brick,natural stone,block,sand,cement, and much more!